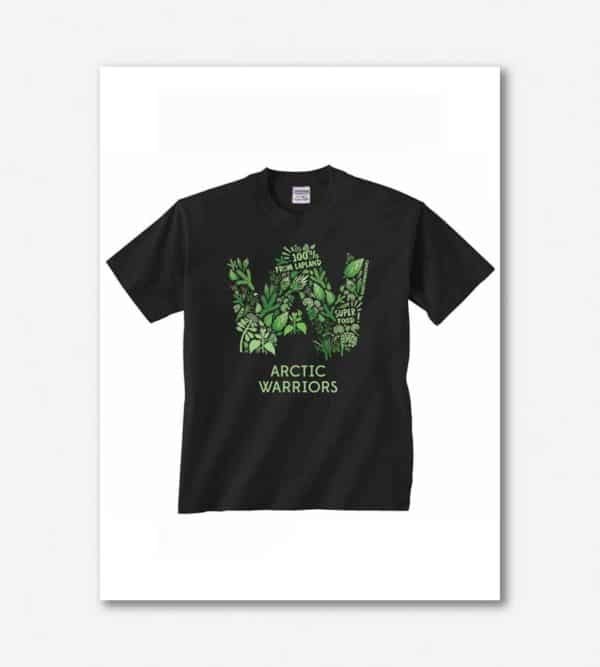 You will recognize Arctic Warriors team members from this herbsy t-shirt. Join the tribe and find your inner arctic power herb warrior by getting your own shirt! High quality and slim fit t-shirt is black in colour with a green herb logo in the front. Available both in men and female cut in different sizes.